Dr. Ali Shariati was born in Mazinan, a suburb of Sabzevar, Iran. He completed his elementary and high school in Mashhad. In his years at the Teacher's Training College, he came into contact with youth who were from the lower economic strata of the society and tasted the poverty and hardship that existed. At the age of eighteen, he started as a teacher and ever since had been a student as well as a teacher. After graduating from college in 1960, on a scholarship he pursued graduate studies in France. 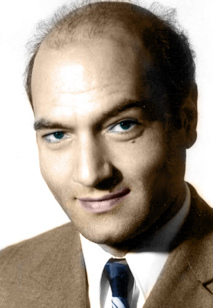 Dr. Shariati, an honor student, received his doctorate in sociology in 1964 from Sorbonne University. When he returned to Iran he was arrested at the border and imprisoned on the pretext that he had participated in political activities while studying in France. Released in 1965, he began teaching again at Mashhad University. As a Muslim sociologist, he sought to explain the problems of Muslim societies in the light of Islamic principles-explaining them and discussing them with his students. Very soon he gained popularity with the students and different social classes in Iran. For this reason, the regime felt obliged to discontinue his courses at the university. Then he was transferred to Teheran. There, Dr. Shariati continued his very active and brilliant career. His lectures at Houssein-e-Ershad Religious Institute attracted not only six thousand students who registered in his summer classes, but also many thousands of people from different backgrounds who were fascinated by his teachings. The first edition of his book ran over sixty thousand copies which were quickly sold-out, despite the obstructive interference by the authorities in Iran. Faced with the outstanding success of Dr. Shariati's courses, the Iranian police surrounded Houssein-e-Ershad Institute, arrested many of his followers and thereby put an end to his activities. For the second time, he underwent an eighteen month prison term under extremely harsh conditions. Popular pressure and international protests obliged the Iranian regime to release Dr. Shariati on March 20, 1975. However, he remained under close surveillance by the security agents of Iran. This was no freedom at all since he could neither publish his thoughts nor contact his students. Under such stifling conditions according to the teachings of the Quran and the Sunnah of the Prophet Mohammed (PBUH), he realized that he should migrate out of the country. Successful in his attempt, he went to England but was martyred three weeks later on June 19, 1977 by the ubiquitous SAVAK. Dr. Shariati studied and experienced many philosophical, theological and social schools of thought with an Islamic view. One could say that he was a Muslim Muhajir who rose from the depth of the ocean of eastern mysticism, ascended to the heights of the formidable mountains of western social sciences, yet was not overwhelmed, and he returned to our midst with all the jewels of this fantastic voyage. He was neither a reactionary fanatic who opposed anything that was new without any knowledge nor was he of the so-called westernized intellectuals who imitated the west without independent judgment. Knowledgeable about the conditions and forces of his time, he began his Islamic revival with enlightenment of the masses, particularly the youth. He believed that if these elements of the society had true faith, they would totally dedicate themselves and become active and Mujahid elements who would give every thing including their lives-for their ideals. Dr. Shariati constantly fought to create humanitarian values in the young generation, a generation whose values have been defaced with the help of the most scientific and technical methods. He vigorously tried to re-introduce the Quran and Islamic history to the youth so that they may find their true selves in all their human dimensions and fight all the decadent societal forces. Dr. Shariati wrote many books. In all his writings, he tried to present a clear and genuine picture of Islam. He strongly believed that if the intellectual and new generation realized the truth of this faith, attempts toward social change would be successful.